The nonbinding budget resolution that suggests overall spending levels passed by House and Senate is shown above in red. Lawmakers are supposed to pass 12 appropriations bills detailing discretionary spending before October 1. In a 51-48 vote, the Senate voted Tuesday to approve a non-binding budget resolution that sets overall spending limits for the federal government’s discretionary spending in fiscal year 2016. The House passed the measure 226-187 last week. One important point for many lawmakers was that the joint resolution adhere to the spending caps set out by the Budget Control Act, which is back in full effect for FY 2016 after a two-year hiatus thanks to the Murray-Ran budget deal in 2013. But budget caps are not back for everyone. Lawmakers want to use an uncapped war slush fund of $96 billion to exceed defense budget caps in 2016 (providing $38 billion above what the Pentagon says it needs for overseas military operations next year), while sticking to the caps for the base Pentagon budget. Meanwhile, non-defense discretionary spending has no such fund. In fact, the joint resolution would double sequestration cuts for non-defense spending over the next decade. As we’ve noted, the budget proposals that were passed in the House and Senate earlier this year are distinctly out of step with the policy directions favored by a majority of Americans. The joint budget resolution would cut more than $5 trillion over 10 years, slashing or eliminating popular federal programs like job creation initiatives, the Affordable Care Act, Medicaid, SNAP/Food Stamps, and public education funding. 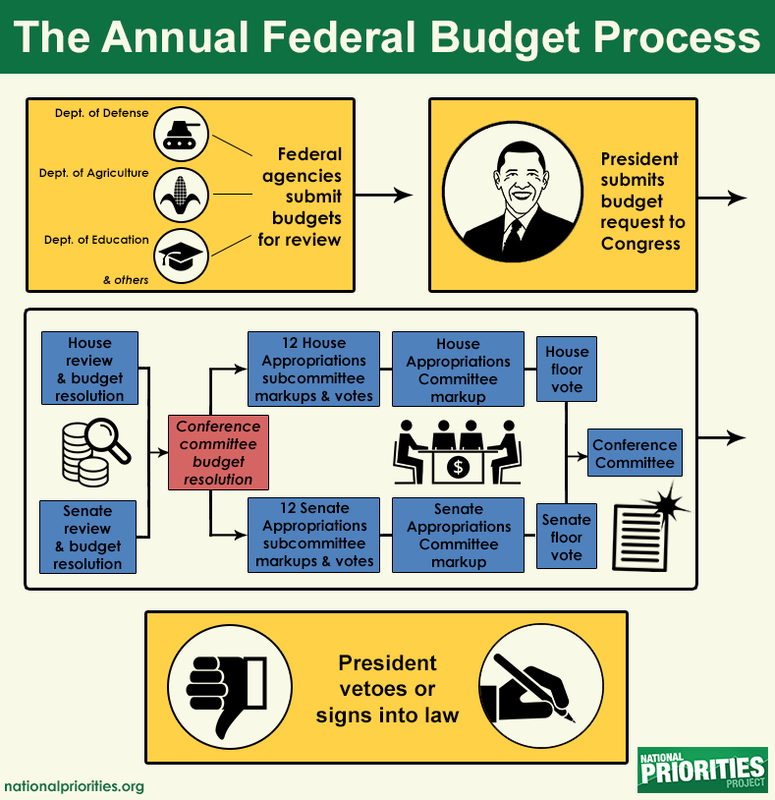 Budget resolutions are not signed by the president and do not become law. However, they do set a precedent for how Congress moves forward to the next step of the budget process: setting spending levels for each federal program by writing appropriations bills. All of which points to a very contentious budget process ahead. Senate Approves a Budget. What’s Next? Competing Visions: What Budget Proposal Best Matches Americans' Priorities?